The Hillsborough disaster unfolded during Liverpool's cup tie against Nottingham Forest on April 15 as thousands of fans were crushed at Sheffield Wednesday's ground." Hillsborough is an in-depth, moving account of Britain's worst sporting disaster, in which 96 men, women and children were killed, hundreds injured and thousands traumatised. Beginning with that fateful day, 15 April 1989, the film details the horror of the tragedy, told through the experiences of those directly involved: fans, survivors, family members and police officers. Many speak publicly for the first time. 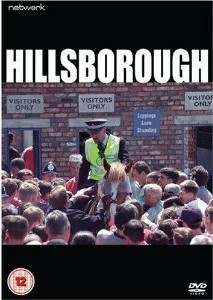 It captures the horror of the crush on the terraces, revealing the prejudices held by the police towards football fans. It exposes the police commanders' abject failure in leadership as the tragedy unfolded, and their deceit and determination to deflect responsibility for their failures in crowd management onto those who survived. The documentary exposes the lack of dignity shown to bereaved families as they arrived in Sheffield to identify their loved ones laid out in body bags on a gymnasium floor. It considers the impact of the orchestrated vilification of fans in the media and, as a consequence, their public condemnation. By interviewing those involved, it recounts the 27-year campaign for justice fought on behalf of the 96 who died. A Panorama investigation reveals how police, politicians, lawyers and judges all played a part in burying the truth about Britain's worst football disaster. Never-before-broadcast footage of the FA Cup semi-final in which 96 Liverpool fans died reveals a catastrophic failure by the emergency services, how lives might have been saved and how subsequent inquiries were misled. And a former home secretary and former police chiefs are put on the spot about why a succession of official investigations left the truth hidden for a generation.